Though hard to distinguish in the photo he referenced (See that post here), the metal work is an artistic representation of the horses and chariots that would have been used here in the horse races. 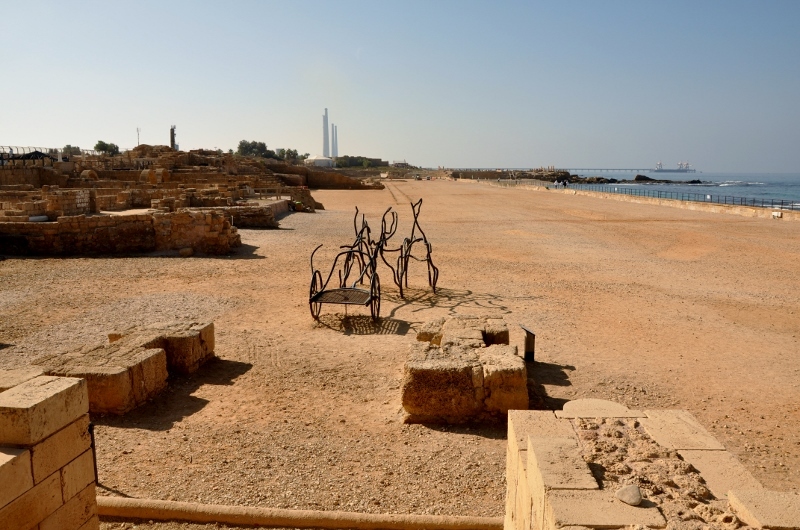 Caesarea, Herod’s capital, was a Roman city; the hippodrome with its horse races (and other events) was standard Roman entertainment. This view from the side perhaps helps. This photo I took in 2009. 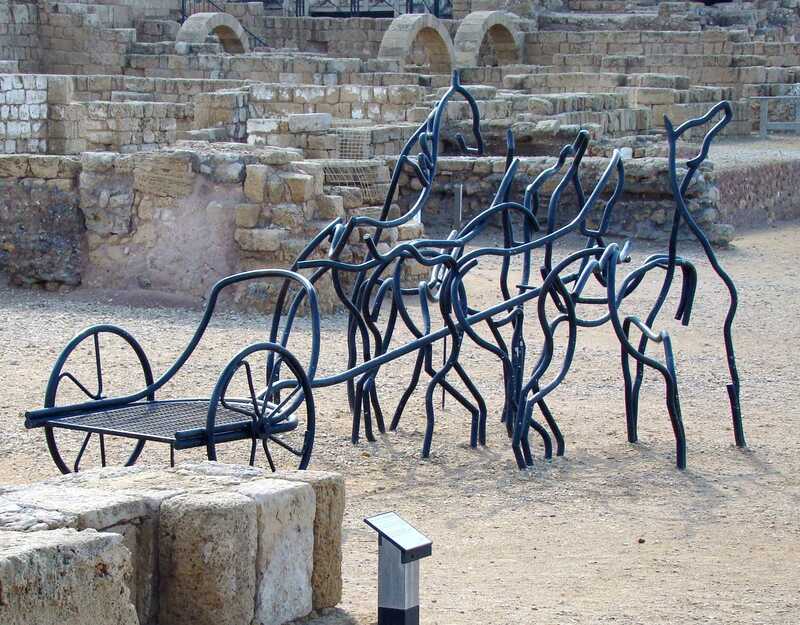 Horses with chariot at hippodrome at Caesarea. Photo by Leon Mauldin. Horses and chariot close-up. Photo by Leon Mauldin. I think the “holes” asked about were just shadows in the photo. The setting of the kingdom parables of Mark 4 (parallels in Mt. 13 and Lk. 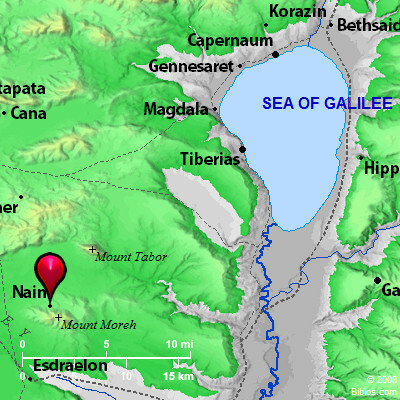 8) is on the Sea of Galilee. Northern Sea of Galilee looking east. Photo by Leon Mauldin. And again He began to teach by the sea. And a great multitude was gathered to Him, so that He got into a boat and sat in it on the sea; and the whole multitude was on the land facing the sea. 2 Then He taught them many things by parables, and said to them in His teaching: 3 “Listen! Behold, a sower went out to sow. 4 “And it happened, as he sowed, that some seed fell by the wayside; and the birds of the air came and devoured it. 5 “Some fell on stony ground, where it did not have much earth; and immediately it sprang up because it had no depth of earth. 6 “But when the sun was up it was scorched, and because it had no root it withered away. 7 “And some seed fell among thorns; and the thorns grew up and choked it, and it yielded no crop. 8 “But other seed fell on good ground and yielded a crop that sprang up, increased and produced: some thirtyfold, some sixty, and some a hundred.” 9 And He said to them, “He who has ears to hear, let him hear!” 10 But when He was alone, those around Him with the twelve asked Him about the parable. 11 And He said to them, “To you it has been given to know the mystery of the kingdom of God; but to those who are outside, all things come in parables, 12 “so that ‘Seeing they may see and not perceive, And hearing they may hear and not understand; Lest they should turn, And their sins be forgiven them.’ ” 13 And He said to them, “Do you not understand this parable? How then will you understand all the parables? 14 “The sower sows the word. 15 “And these are the ones by the wayside where the word is sown. When they hear, Satan comes immediately and takes away the word that was sown in their hearts. 16 “These likewise are the ones sown on stony ground who, when they hear the word, immediately receive it with gladness; 17 “and they have no root in themselves, and so endure only for a time. Afterward, when tribulation or persecution arises for the word’s sake, immediately they stumble. 18 “Now these are the ones sown among thorns; they are the ones who hear the word, 19 “and the cares of this world, the deceitfulness of riches, and the desires for other things entering in choke the word, and it becomes unfruitful. 20 “But these are the ones sown on good ground, those who hear the word, accept it, and bear fruit: some thirtyfold, some sixty, and some a hundred.” (Mark 4:1-20). Photo at Nazareth Village. A sower sowing seed. 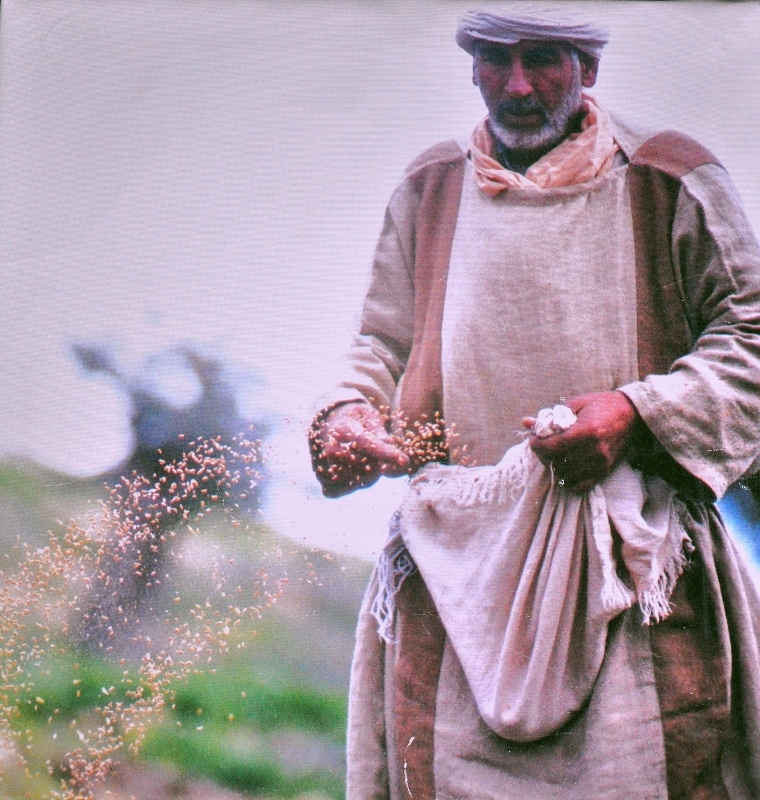 A photo of a sower sowing seed is featured on the wall inside an orientation room at the Nazareth village. The kingdom is the Lord’s. He is the king. The seed of His kingdom is the word of God. When the seed is sown there are different results. Some people never respond. They are the wayside soil. Others respond enthusiastically, but fall away. These are represented by the rocky soil. Some are preocccupied and distracted and never bear fruit for the Lord. These are portrayed by the thorny ground. Then there are honest and good hearts that hold fast the word and bear fruit. This is the good ground. 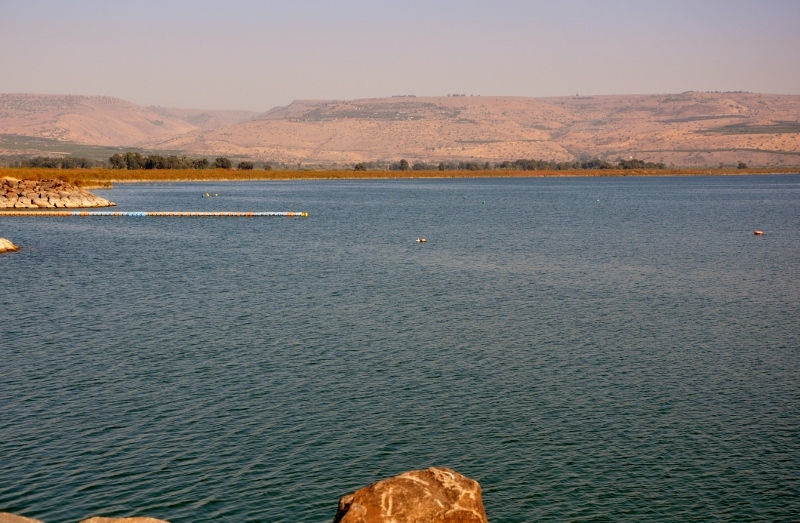 The Sea of Galilee is one of my favorite locations in Israel. I’ve enjoyed taking sunrise and sunset photos. Last week during our boat ride across the sea, I had the opportunity to photograph a full moon, which was reflecting nicely on the surface of the waters. 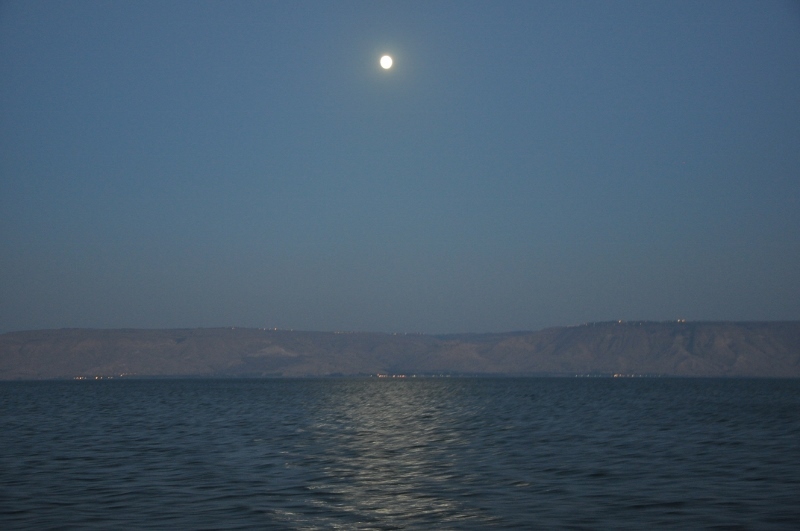 Full moon reflecting on Sea of Galilee. Photo by Leon Mauldin. This was a view Jesus and His disciples had countless times during His ministry. Matthew 4:18: Now as Jesus was walking by the Sea of Galilee, He saw two brothers, Simon who was called Peter, and Andrew his brother, casting a net into the sea; for they were fishermen. We’re glad to be back up and running now (our blog, that is). Yesterday we arrived at ATL on time on our return from Israel. This trip was biblically educational for all: helpful for first-time travelers as well as those returning. It is a fact that you get a lot more out of that 2nd or 3rd trip to Israel; that first visit tends to be overwhelming, there’s so much to take in! I continue to learn on each trip. Last week I posted on the discovery of the 1st century synagogue at Magdala. Of interest there was the discovery of two mikva’ot (plural of mikveh). A mikveh was used by the Jews for ritual purification (not for bathing; they would bathe first). 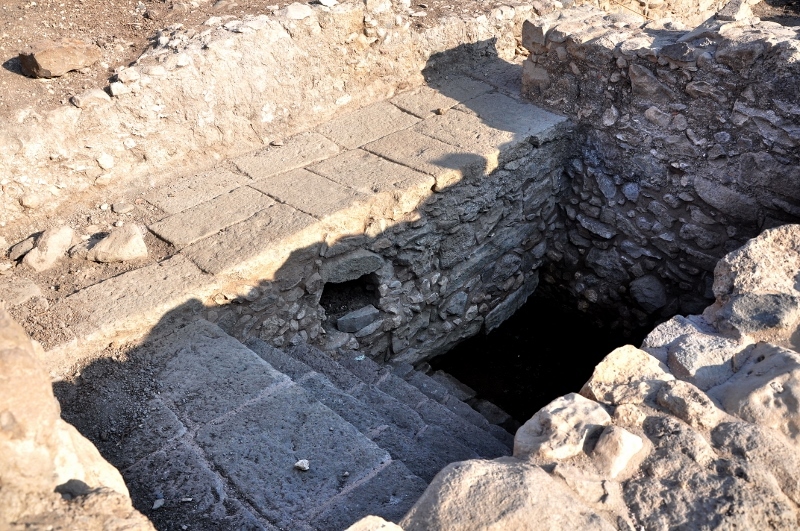 A mikveh at Magdala. Two mikva’ot were found at the site. Photo by Leon Mauldin. . . .we often find mikva’ot in pairs, side by side. 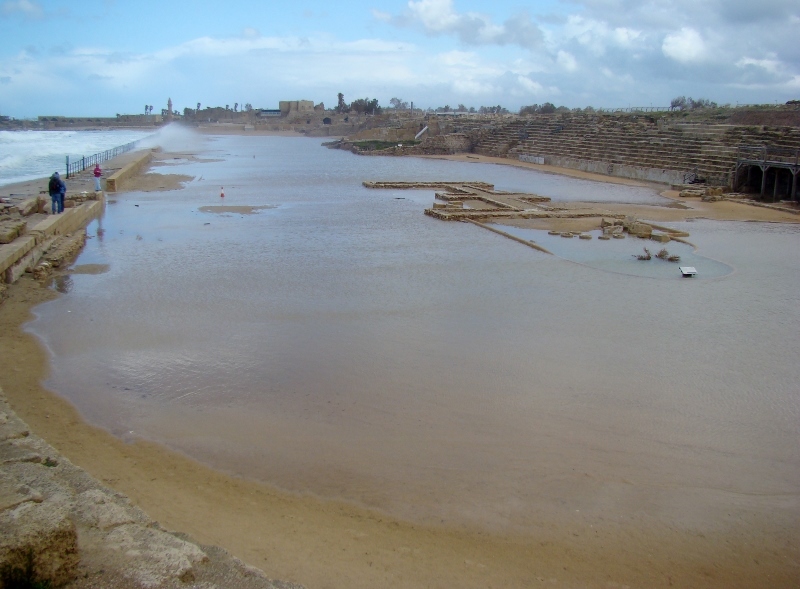 We must remember that where the mikveh was not served by a continuously flowing spring (as in the vast majority of cases), the pure water had to last from the end of one rainy season, in around March, until the beginning of the next rainy season, about October. If one of a pair of mikva’ot no longer had enough pure water, the other could be used. What’s more, the waters of a pure mikveh could be used to purify the water in the other. Rabbinic literature describes how a moveable pipe or assemblage of pipes could be used for this purpose (Tosefta mikva’ot, 5.5). Pairs of mikva’ot are frequently found in Jerusalem. 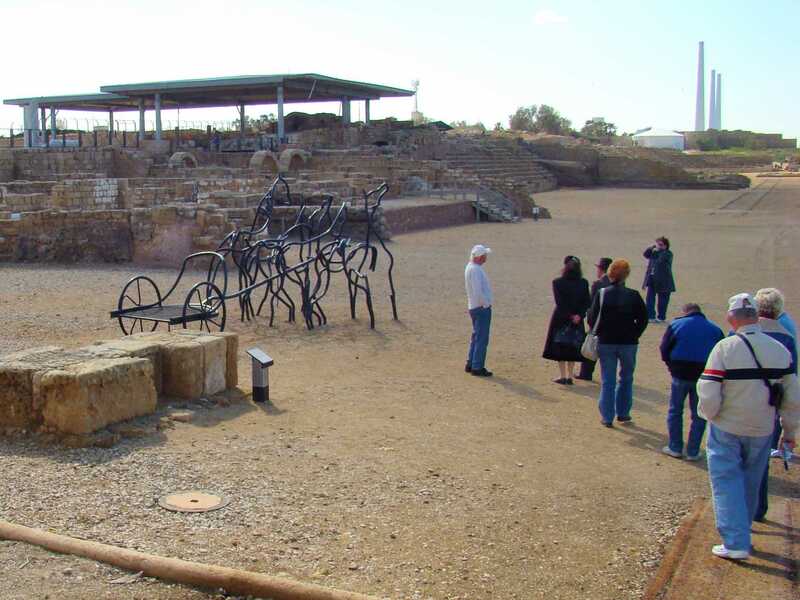 At Sepphoris I saw five or six pairs or groups that can easily be identified: numbers 4, 5 and 6; 7 and 9; 14 and 15; 17 and 18; 19 and 20; 21 and 22 on the site map (28:02 Mar/Apr 2002). The view from Magdala is beautiful. View from Magdala, looking NW. Photo by Leon Mauldin. Yesterday we visited Nazareth. Everyone enjoyed the Nazareth Village, which is a realistic recreation of life in the 1st century. Then on to Beth Shean, Jezreel, and then down the Jordan Valley to Jerusalem. 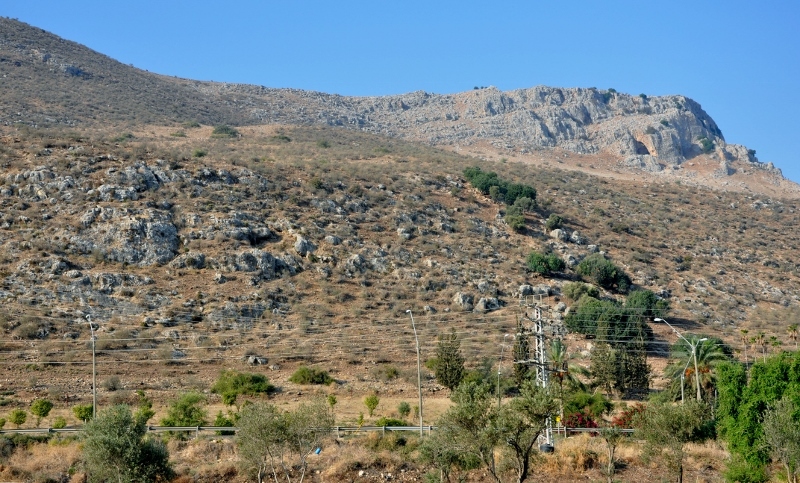 We had planned to go through the hill country of Samaria, but found the gate had closed today at 2:00 PM (due to holiday). 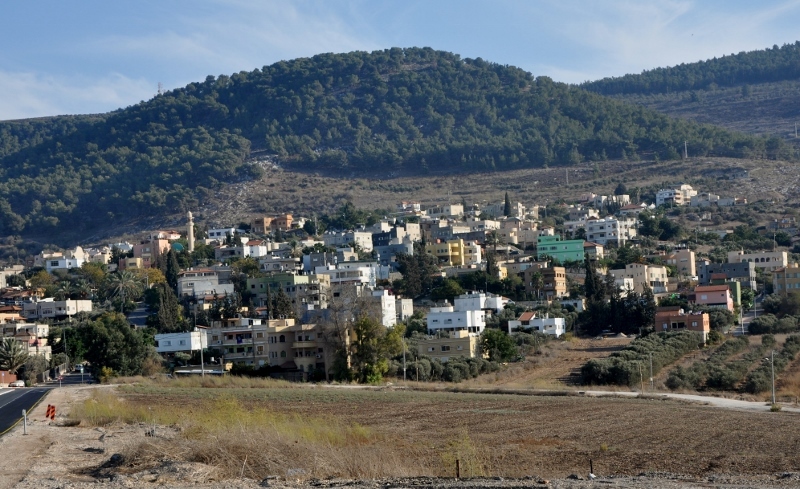 Also the Spring of Harod, where Gideon’s army was divinely trimmed down to 300 men to face 135,000 Midianites, was closed. We also had some rain, but still it was a good day. Then we made our way to Jerusalem. Today we saw the Western Wall, which was very busy due to the Sabbath, then we went south. We visited Qumran, where the Dead Sea scrolls were discovered. Then Masada, the Dead Sea at Engdei, then the Jordan River and finally Jericho before returning to Jerusalem. Since last night I’ve been unable to upload photos. Hopefully I can resolve this soon! You are currently browsing the Leon's Message Board blog archives for October, 2013.